Residents can sign up by visiting Burbio.com or, on a smartphone, selecting the Burbio app in the app store. 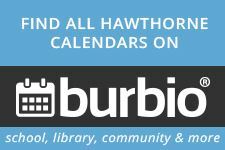 After entering Hawthorne's zip code (07506), a resident can then select which calendars to follow. ⇐Previous Presentation on Hawthorne Property Tax RevaluationNext⇒ New to the Area?